On 31st May one of the biggest trucks ever to grace our goods yard arrived to deliver two new moulding machines to add to our capability and capacity. 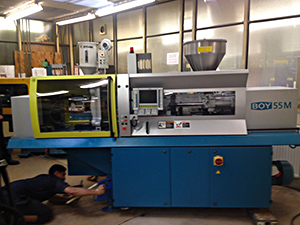 We have invested in another Boy 25EVH vertical machine which will be dedicated to supporting new insert moulding and overmoulding projects we have won for UK OEM customers who need overmoulded PCBs and connectors. 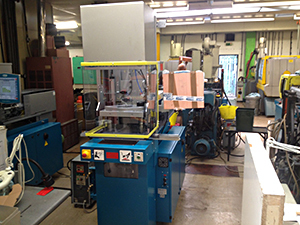 This machine has a slightly different configuration to our existing machines and brings our fleet of sub 25 tonne German built machines up to eight.